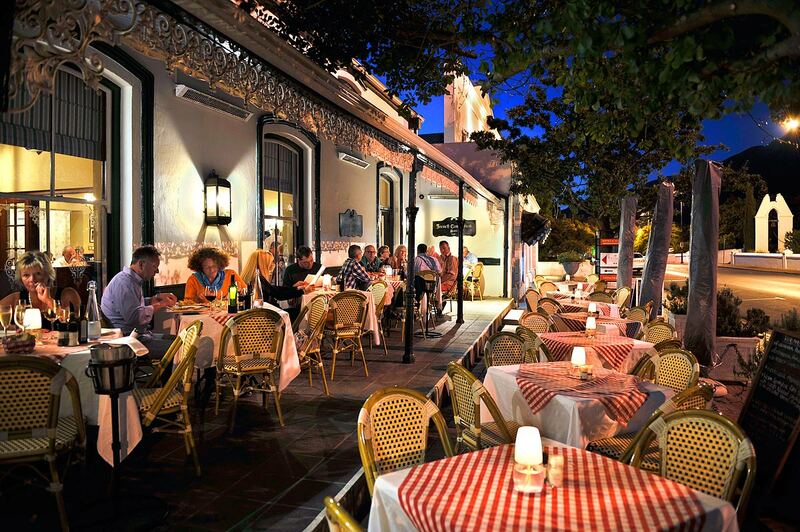 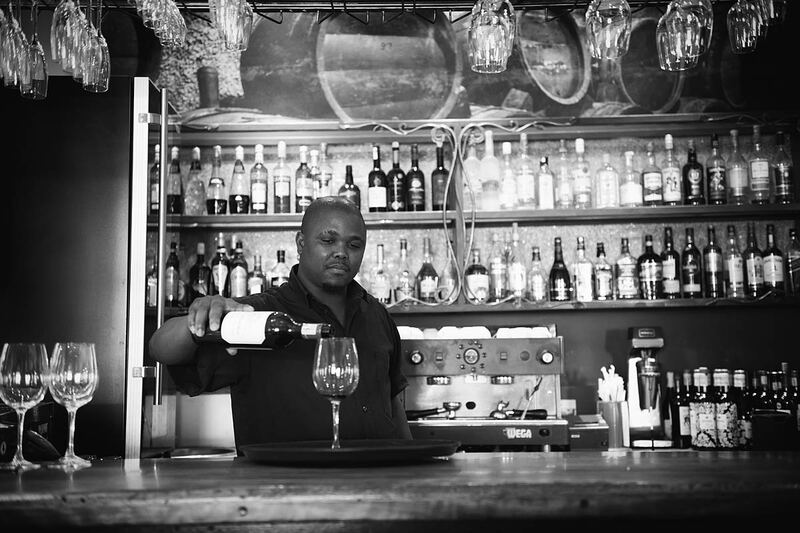 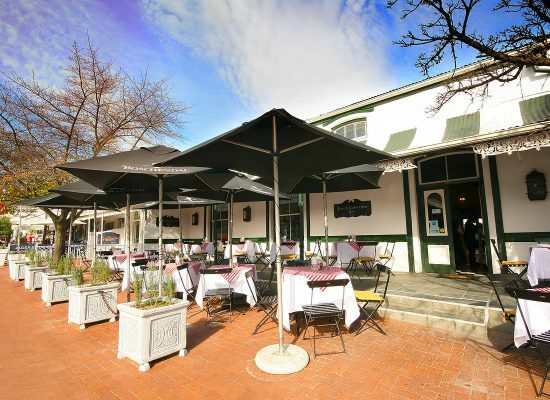 French Connection Bistro is a casual, vibey, indoor and outdoor dining space popular with Franschhoek locals and tourists visiting our unique, small village. 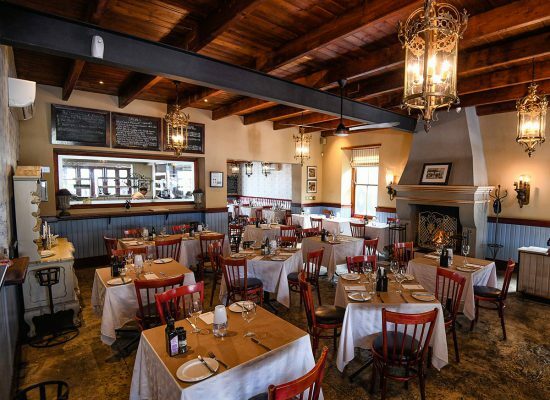 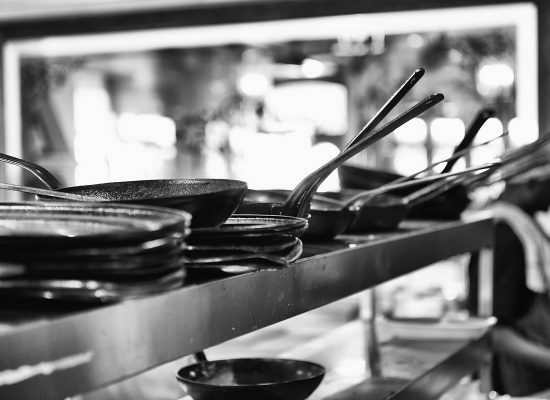 Our bustling restaurant is fully air-conditioned for those long, hot summer days and has two fireplaces for cozy winter evenings. 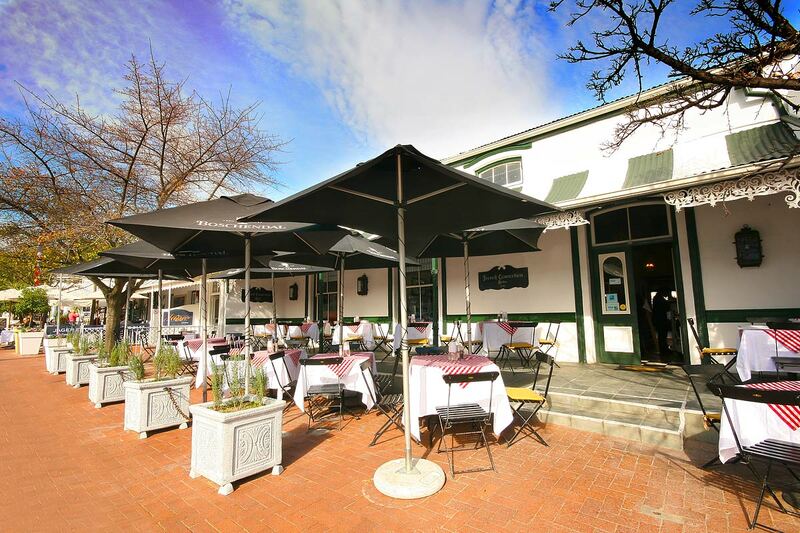 We have two outside areas – the front verandah where you can watch the world go by and the courtyard, a sheltered and quieter area at the back. 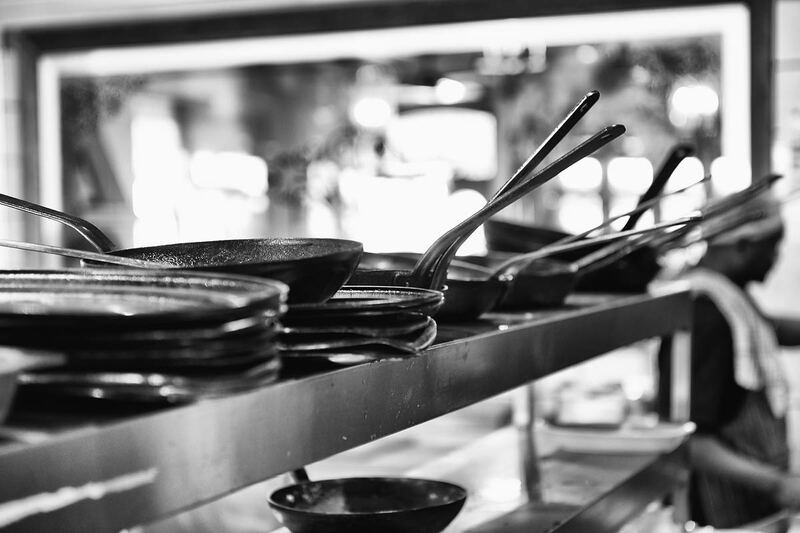 We will happily host your function or special occasion and will design a menu to suit you. 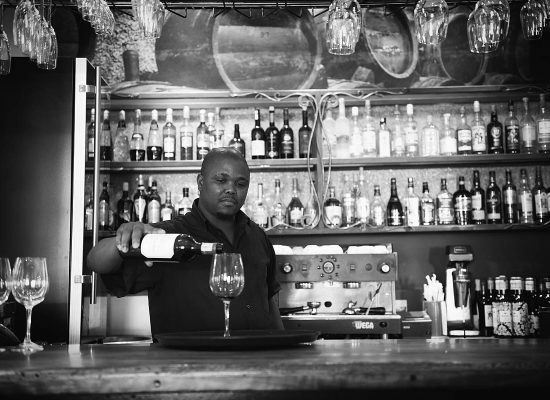 A powerful backup generator ensures that the lights never go out even when Eskom lets us down! 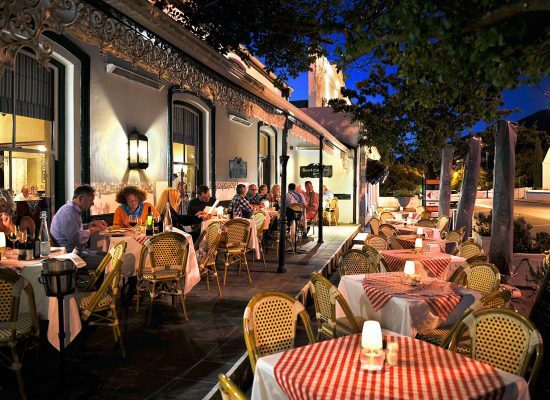 Enjoy local specialties and some French bistro favourites. 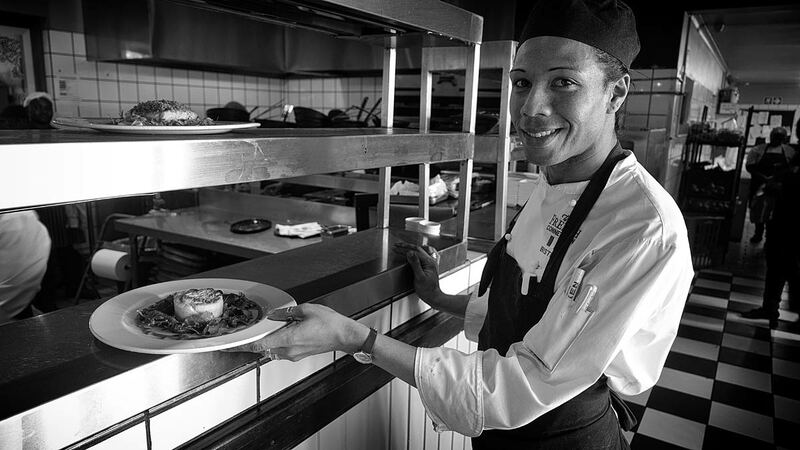 A daily specials board ensures that we showcase only the freshest produce that our chefs can source. 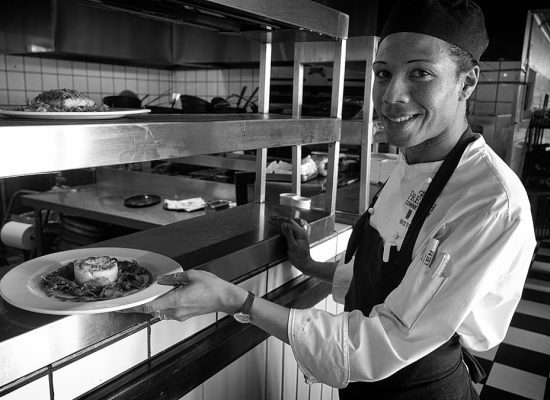 We invite you to sit back, relax and enjoy the French Connection’s food, great wine selection and warm hospitality while visiting the Franschhoek Wine Valley.